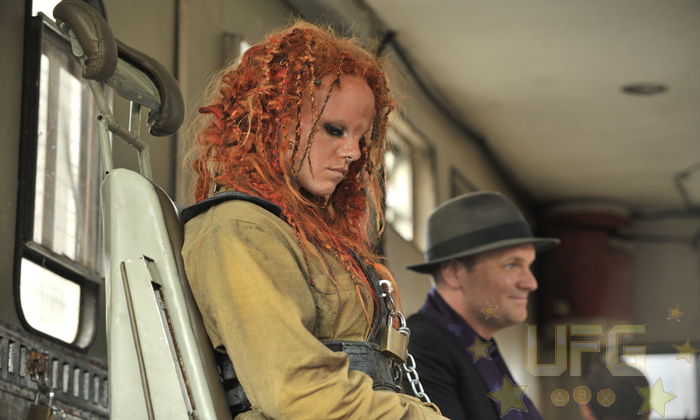 New TV Tie-In Coming to Defiance! We’ve already reported that Trion Worlds was adding more content to Defiance this month. Today Trion sent over some information about some of that content and how it would tie-in to the Syfy channel show! If you didn’t see last week’s episode of Defiance, you may want to do that before reading on (that’s a Spoiler warning if you didn’t know). The character Rynn, one of the Ghost Riders, was arrested at the end of the episode for trying to take out the town. She had a past history with some of the humans there and wanted to exact her revenge using Hellbugs. It was a good episode. Well, it seems that her character is coming to the game; she is being escorted by Nolan and Amanda to a prison in Las Vegas. • New hellbug arkfalls and events featuring the elemental hellbugs appear across the Bay! • “A New Pair of Genes” : Take on a Monarch in order to collect samples of his DNA for Rosa and Eren. • “Thinning the Herd” : Help a group of Echelon Mercs clear out a Hellbug Nest to assist Cass in purging the land of this menace. • All of the Factions change their contracts to Hellbug themes. • Cooper calls to say that some ER soldiers are pursuing an Irathient woman in the Bay Area. • The player tracks Rynn through a handful of locations discovering remnants of combat between ER soldiers and hellbugs. • Rynn contacts the player. She has found where the rogue ER soldiers have set up the new Project Piper location. Players must descend with Rynn into the bunker and stop the soldiers from using Project Piper. In the process, the Project Piper data/device is destroyed and can never be used again. 4 new Data Recorders appear around the game world describing Project Piper. These will remain available even after the event ends. Rynn challenges players to hotshot missions competing with Rynn. These events will take place over most of the month of May, until Rynn arrives to offer a variety of missions (listed above). This is defiantly a good time to jump back into the game. Now if you excuse me, I have Hellbugs to kill! 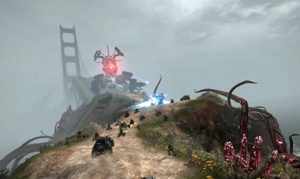 Trion Reveals DLC Plans for Defiance! Trion announces five DLC packs!